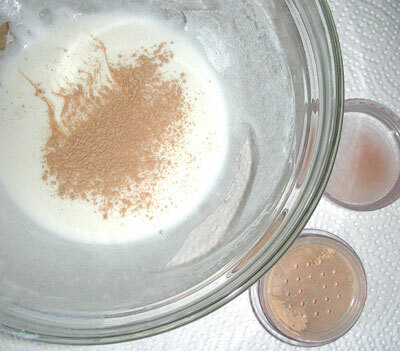 I've been working on a sun-protective lotion for a couple of years now and decided to try some of my latest batch as a base for a foundation. Because I made a powder foundation earlier this year, it was easy to combine the 2 to create a foundation with a built-in SPF 18. The resulting foundation looked so great on my skin that I promptly named it 'Color Me Gorgeous' (hard to read in this picture, but it's the white lettering along the edge of the label). Here's how I put it together. 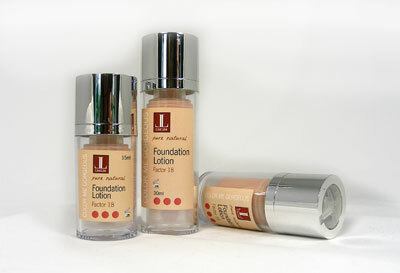 The powder foundation is added to the sun lotion. Here is the final mixture. 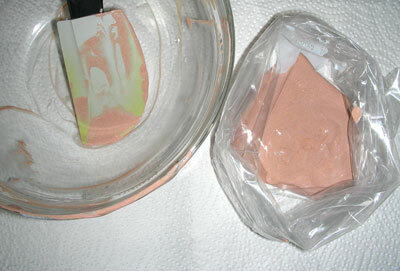 It surprised me how much of the powder mix needed to be added to achieve a semi-sheer foundation. Transferring the mixture is a 2 step process. First, transfer to a small plastic bag, then twist the bag shut and work the entire contents down (as you would use a cake decorating bag). Snip off a small corner and you can easily control the delivery of the product to the final container. 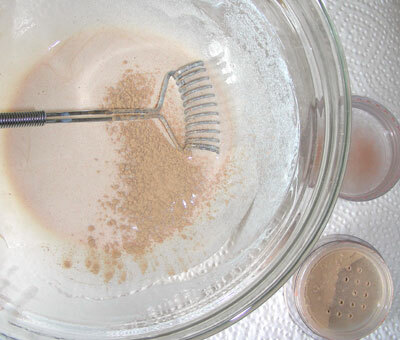 PS: You don't have to make your own base lotion to do your own foundation. 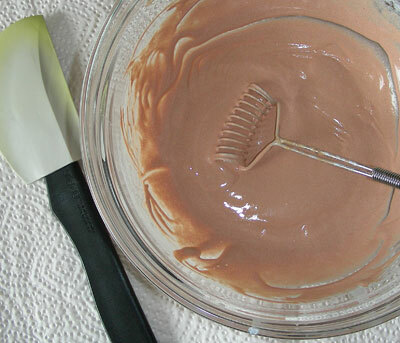 Use a sun lotion that you like and add your own powder foundation to it – piece of cake! Not fair - you already are! !